Today, I woke up at 5am, packed up my equipment and started up towards Camp III. I carried everything I would need to sleep in Camp III in case I felt healthy when I arrived, but this backfired quickly. The beginning of the route from lower Camp II to Camp III required passage through the very narrow House’s Chimney. My backpack was completely full, with a mattress pad and shovel attached to the right side. I made my way up the technical chimney, the shovel scraping the rocky sides as I struggled to take the next step. I arrived to the top breathless and took a few minutes to catch my breath before continuing on. The terrain above the chimney was very steep and the deep snow gave way every step. 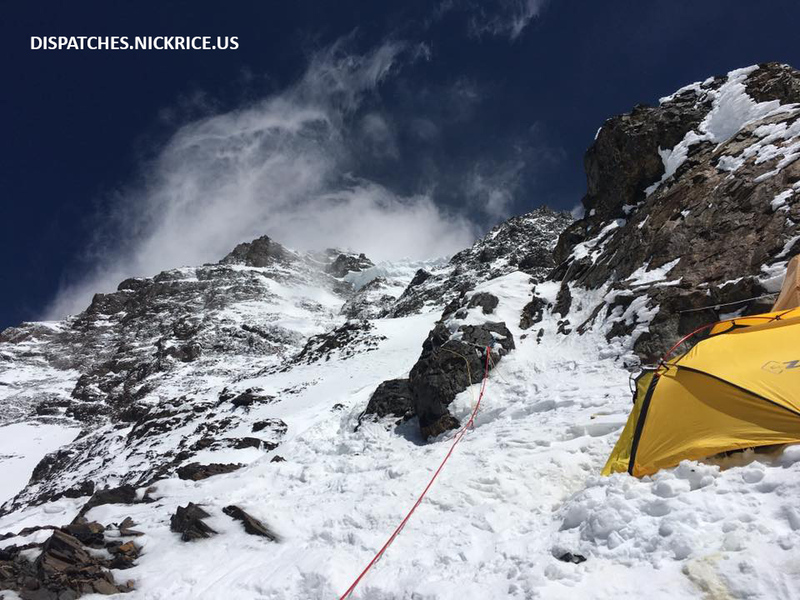 After a couple of hours of climbing, I decided to return to Base Camp, as the winds were blasting the serac, above which lies Camp III. I am after all, here to enjoy myself. I carefully made my way back to Camp II, prepared a deposit to leave in my tent, then descended to Camp I, rappelling almost the entire way. I was amazed to see how steep the terrain was between Camp I and Camp II. Only when descending was I able to fully grasp the grade of these slopes. I arrived in less than an hour to Camp I, dumped most of my gear into the tent, and proceeded down to ABC. 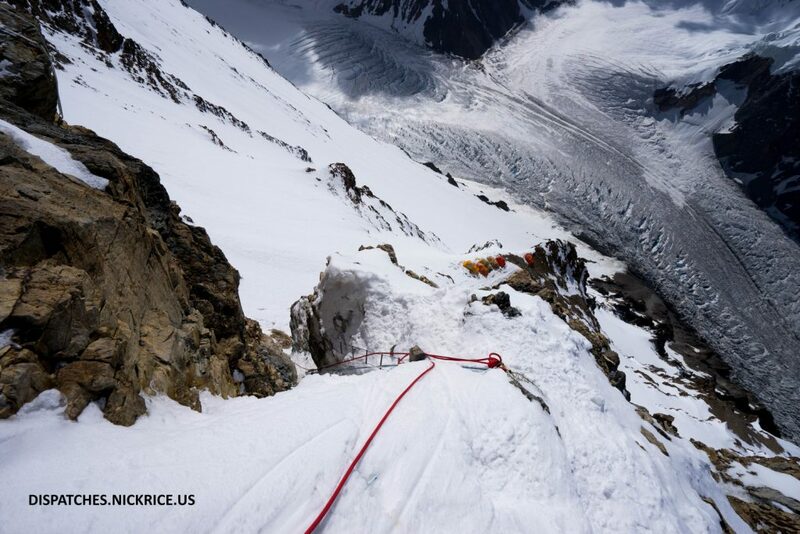 A number of us got stuck behind an elderly Korean climber who was being helped down the fixed lines by two Sherpas. The waiting added at least an extra 1.5 hours to the descent, but I managed to make it back to Base Camp well before dark. I said my hellos to Badia and Mauricio, who had descended first thing in the morning, then made my way to my mess tent where Akbar prepared me a tea. I was amazed at the amount of energy I still had after climbing nearly 12 hours. I ate dinner, unpacked my gear, and got an early night.